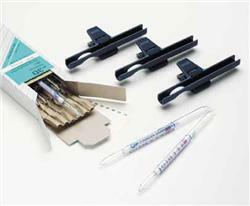 Gastec 91M Formaldehyde Detector Tubes. Detection Range: 8-6400 ppm. 10 measuring tubes per box.